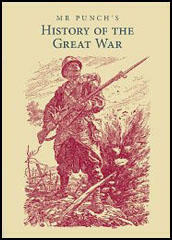 Frederick Henry Townsend was born in London on 26th February 1868. He studied at Lambeth School of Art where other students included Leonard Raven-Hill and Arthur Rackham. One of his first jobs was to illustrate two stories by Oscar Wilde that appeared in Court & Society Review. Townsend contributed to several newspapers and magazine including Punch Magazine, The Daily Graphic, The Tatler, The Idler, The Pall Mall Gazette, The Strand Magazine, News Chronicle and Illustrated London News. Books illustrated by Townsend included Maid Marian (1895), Jane Eyre (1896), Shirley (1897), A Tale of Two Cities (1897), The Scarlet Letter (1897) and Rob Roy (1897). In 1905 Townsend became the first Art Editor of Punch Magazine. He also contributed cartoons to the magazine and illustrated the "Parliamentary Sketches". According to Mark Bryant Townsend "used models and drew roughs in pencil on chalk-surface paper, than transferred these in pen and ink on to Bristol Board." During the First World War he served in the Special Constabulary. 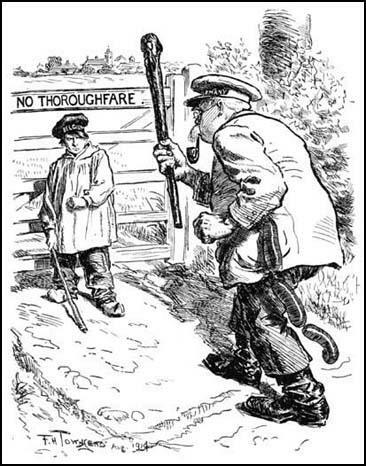 He also produced several patriotic cartoons including the famous No Thoroughfare after the German invasion of Belgium. Frederick Henry Townsend died while playing golf on 11th December 1920. 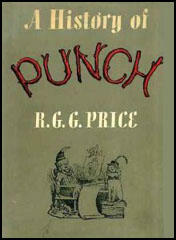 He was replaced by his brother-in-law, Frank Reynolds as Punch's Art Editor.